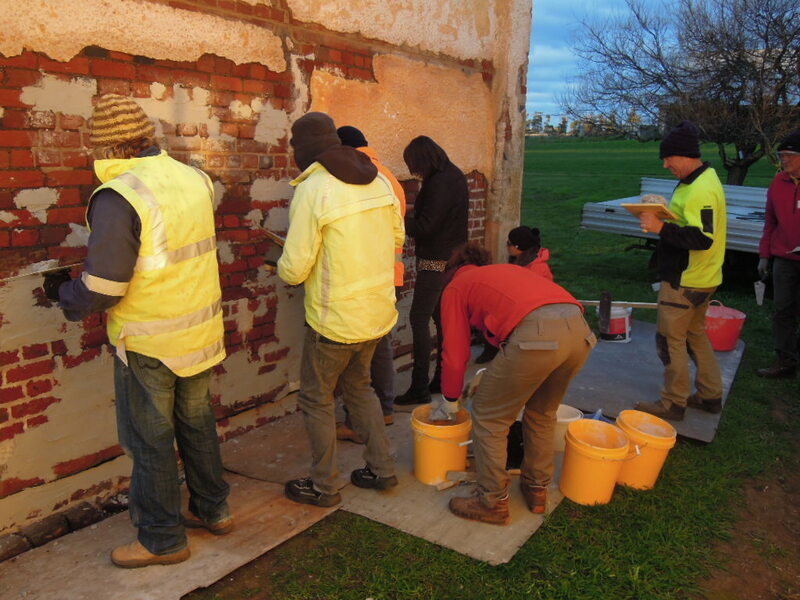 The ‘Longford Academy’ is a 6-day program in conservation of traditional structures and building fabric, held at World Heritage inscribed Woolmers and Brickendon Estates, Longford, Tasmania. APT presenters have extensive experience in conservation and education. Heritage conservation specialists demonstrate techniques and lead hands-on activities at selected sites in the field. Activities include inspections, workshops, demonstrations and direct involvement in conservation works across both sites. Please note that practical works will continue on Monday 14 & Tuesday 15 May. Participants are invited to continue learning by participating in works on these days at no additional cost. One day workshops will be held on Wed 9 May and Sat 12 May. In the lime and mortars workshop on 9 May, the following topics will be covered in presentations, demonstrations and practical activities. Understanding limes – types, properties, preparation, which one do I choose? In the metalwork and roofing workshop on 12 May, the following topics will be covered in presentations, demonstrations and practical activities. The full Longford Academy 9 is available for a participation fee of $750 ($600 APT members), which covers materials, site costs, refreshments and lunches. This participation fee includes both of the structured face-to-face workshops on day 3 (Wed 9 May) and day 6 (Sat 12 May). Attendance at only the Lime and Mortars Workshop (9 May) or the Roofing and Metalwork Workshop (12 May) is available for a fee of $250 (APT members $200) for each workshop, which includes morning tea and lunch. B&B accommodation is available on-site at Woolmers Estate and Brickendon Estate. Bookings direct to Woolmers and Brickendon. For enquiries and registration please email the convenor. THE ‘LONGFORD ACADEMY’ IS A CENTRE OF EXCELLENCE IN CONSERVATION SPONSORED BY THE PARTICIPANTS. It is an initiative of the APT Australasia Chapter, and supported by Woolmers Estate, Brickendon, the National Trust of Australia (Tasmania) and Heritage Tasmania. This entry was posted in Events and tagged APT, Brickendon Estate, conservation, courses, heritage skills, heritage training, Longford Academy, preservation, vernacular, Woolmers Estate, workshops. Bookmark the permalink.